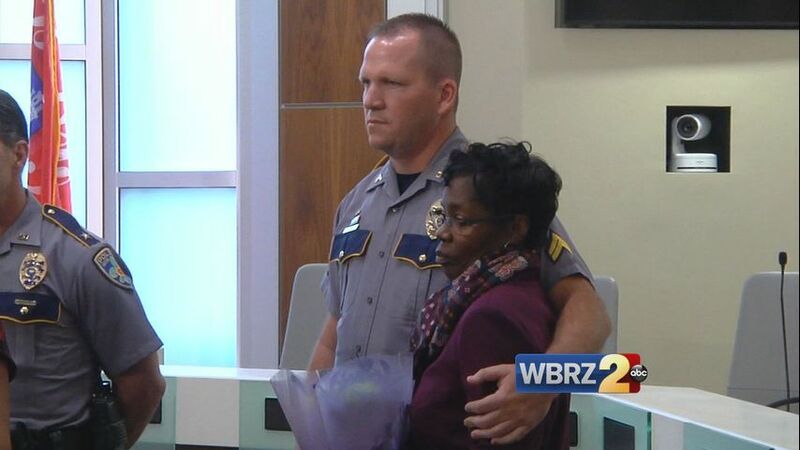 BATON ROUGE - A man who violently attacked a Baton Rouge police officer earlier before a helpful citizen stepped in was sentenced Friday morning. Thomas Bennett, 29, is sentenced to 8 years in prison for the Feb. 19 attack on the officer. Police say Bennett was found asleep in his car with drug paraphernalia, prompting the officer to conduct a search. After the officer recovered multiple syringes and a bag of cocaine, Bennett grabbed the cop's baton and began striking him in the head. Police say he also reached for the officer's firearm during the attack. A passerby, 56-year-old Vickie Williams-Tillman, saw the attack unfold and called authorities before taking matters into her own hands. Williams-Tillman leapt onto Bennett's back, giving the officer an opportunity to fight back until back-up arrived. Police publicly thanked Williams-Tillman in a public news conference as well as a Facebook post. Bennett will now serve an 8-year prison sentence for charges of aggravated battery, disarming an officer, drug possession and burglary.